Sorry little blog I have left you unattended for way too long. I got caught up in Christmas parties, mulled wine, turkey sandwiches, board games with the family & just being generally festive and lazy. I have had such a lovely Christmas so far, unfortunately my sister couldnt make it back from America so we spent our first Christmas without her. However with the beauty of skype we managed to all open our presents with her on the day. How did you guys spend your Christmas day? Do you have any family traditions? The lovely people at Postsnap contacted me in the run up to Christmas and asked me would I like to make my own Christmas cards with them. 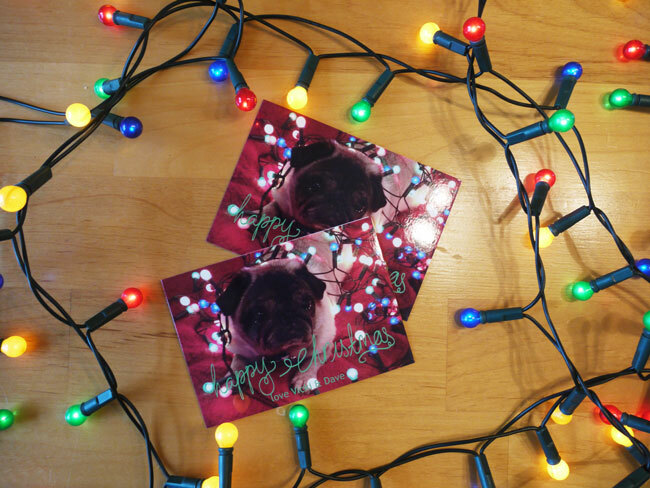 Of course I jumped at the chance and had this instant idea of one of our pugs with tree lights all around them and reindeer antlers on their head. Well... I managed the lights but working with hyper animals and getting them to sit still aint easy, but it was fun all the same! 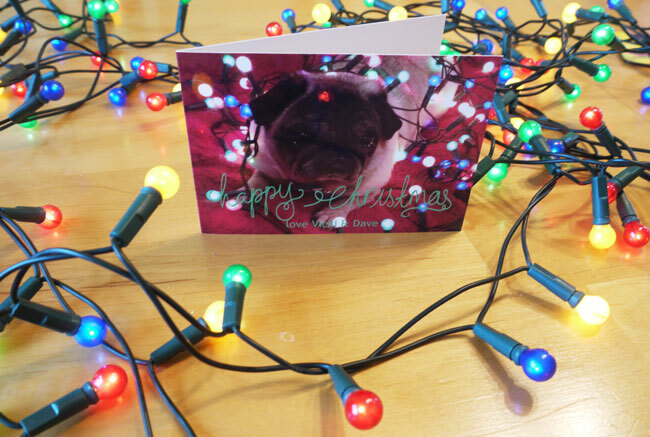 Postsnap allows you to upload photos from your phone and facebook and create your own cards for any occasion, Im thinking I now need personalised thank you cards to send to everyone for my presents. Awww such a cutie! Glad you had a lovely christmas! Hope you had the greatest Christmas! We at Adobe Photoshop customer service believes in customer satisfaction and our first priority is to treat their problem like our own. We are having team of dedicated and well-qualified problem resolving personal assistance team so, that user's doesn't face such issues in future.